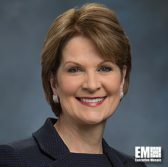 Marillyn Hewson, Lockheed Martin chairman, president and CEO, has been named by Chief Executive magazine as 2018 CEO of the Year in recognition of her leadership and efforts to promote science, technology, engineering and mathematics education. The award also recognizes Hewson’s work to advance diversity in the technology sector and build up the pipeline of skilled workers, Chief Executive Group said Tuesday. Hewson, a 2018 Wash100 recipient, said the award is a tribute to the company’s 100,000 employees who help drive innovation and advance human knowledge. Chief Executive Group will host in July an event in New York to celebrate Hewson’s selection for the award. Members of this year’s selection committee include Stanley Bergman, CEO of Henry Schein; Dan Glaser, CEO of Marsh & McLennan; Fred Hassan, former chairman at Bausch & Lomb and a partner at Warburg Pincus; Tamara Lundgren, CEO of Schnitzer Steel; Bob Nardelli, CEO of XLR-8; Tom Quinlan, CEO of RR Donnelley; Jeffrey Sonnenfeld, CEO of the Yale Chief Executive Leadership Institute; and Mark Weinberger, CEO of EY. Ted Bililies, chief talent officer and managing director at AlixPartners, served as the exclusive adviser to the committee.